Long before modern-day medicine, synthetic drugs and advanced technology, people used plants to meet their health care needs. Believe it or not, the World Health Organization estimates that nearly 80% of the world’s population still uses plants and other traditional remedies as their primary form of medication. From cannabis to sage, medicinal herbs and plants with medicinal properties are plentiful in nature. Many people actually prefer using natural remedies to modern synthetic drugs, and for good reason. Let’s take a look at a few herbs that you should consider using in everyday life that are available right at your fingertips. If you take care of your environment, it can take care of you. 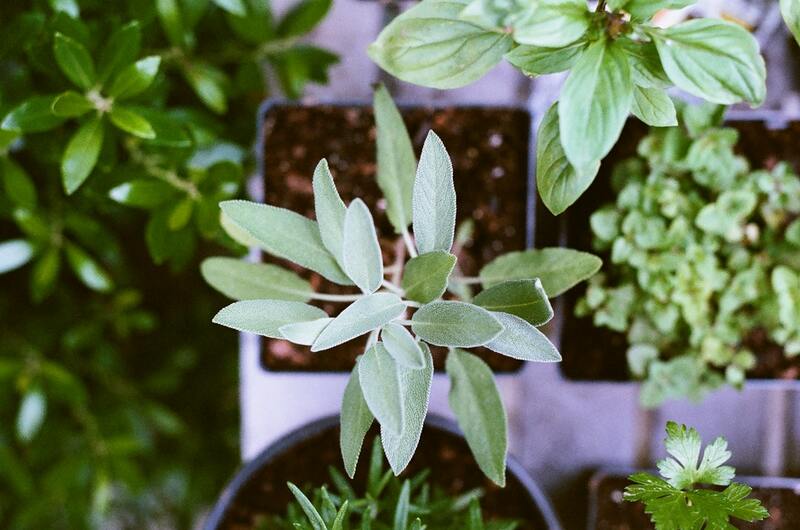 Nothing proves that better than these eight incredible medicinal herbs you can grow in your garden. Alfalfa is an herb that’s extremely rich in minerals and other compounds and nutrients that promote good health. Often considered the “father of all plants,” its roots tend to grow 20 to 30 feet deep. Alfalfa is popular as a fodder for livestock, yet is effective in treating nausea, kidney pain, morning sickness, as well as for reducing urinary discomfort. It’s also useful as a stimulant and diuretic, and has long been used as a liver and bowel cleanser and can help in reducing cholesterol. Widely considered to be one of the most valuable useful herbs in the world, sage is an antifungal, anti-inflammatory, and antioxidant. Sage also helps with digestion, reduces diarrhea, fights cold symptoms, relieves pain, kills bacteria, and is effective in reducing swelling and inflammation. In addition to its health benefits, sage was also used as a meat preservative prior to the advent of refrigeration. This herb is probably best known for its anti-nausea benefits. Ginger also has tremendous antiviral, antibacterial, antiparasitic, and antioxidant properties. And that’s just to name a few. Ginger is very effective for pain relief, as an anti-inflammatory, as well as for menstrual pain, headaches, and joint pain relief. Beyond the previously mentioned uses, in recent years ginger has also begun to show great potential in fighting diabetes, cancer, asthma, and fungal infections. Many people enjoy drinking ginger tea, which is made by simply letting a couple of inches of ginger root steep in hot water. The next herb on our list has been used for centuries for a wide range of health benefits. Among these is peppermint’s effectiveness in reducing abdominal pain, allergies, asthma, as well as a number of other respiratory system issues. In the form of an essential oil, peppermint can be inhaled through a vaporizer or rubbed on your chest to aid in clearing nasal congestion and relieve cold symptoms. Applying a few drops to your wrist or to your temples and forehead can help reduce headache pain. When using peppermint leaves, keep in mind that fresh leaves have a more pleasant flavor than dried leaves. Try to find leaves that are green, and that don’t have dark spots or yellowing. Believe it or not, growing your own peppermint at home is an effective way to keep insects out of your garden, due to the face that the peppermint plant serves as a natural deterrent. Garlic has long been popular for a number of health-related uses. These include improving cardiovascular health and circulation, reducing inflammation, and for boosting the immune system. Not only is garlic effective against certain bacteria that are drug-resistant, but it’s also been shown to be among the top anti-aging foods. Garlic’s therapeutic benefits come from compounds such as allicin, which also produces the herb’s distinctive smell. When allicin is digested, it produces sulfuric acid, a compound known for its ability to combat free radicals in the body. To prepare garlic for use, simply chop or crush a fresh clove to stimulate the release of alliinase, an enzyme that catalyzes the formation of allicin. Keep in mind that garlic pills are essentially worthless due to the fact that allicin, the active ingredient in the pills, is destroyed within an hour of crushing the garlic clove. Thyme is another herb that has many uses, both for its health benefits and as a cooking ingredient. This herb is rich in a number of important nutrients, include vitamin A, vitamin C, copper, manganese, dietary fiber, and iron. Thyme oil can be used to treat arthritis, gout, menstrual and menopausal issues, nausea and fatigue, as well as skin and respiratory problems. Thyme is a fragrant herb, and is rich in antioxidants, making it ideal for cooking. Believe it or not, thyme is also found in a wide range of hair and skin products, as well as mouthwashes and insecticides. Those interested in learning more about the medical field should take a look at this program for more information. When most people think of chamomile, they likely associate it with the popular tea used to calm an upset stomach or to support a more restful night’s sleep. Yet this herb also serves medicinal purposes. Chamomile oil has a calming effect and is thus often used for reducing anxiety and promoting a greater sense of overall wellbeing. It’s also effective at easing backaches and menstrual cramps, and for soothing skin irritation and redness. Lavender is known for its lovely aroma, yet this herb also offers many health-boosting properties. When used in aromatherapy, lavender oil can reduce depression, insomnia, anxiety, restlessness, and stress. Believe it or not, lavender oil is also highly effective for treating skin disorders, maintaining healthy hair, and improving digestion and blood circulation. As the price of medical care continues to rise, more and more people are seeking a more natural way to keep themselves healthy. Fortunately, medicinal herbs are the perfect way to accomplish this without having to spend a fortune. The world is full of plants with medicinal properties, which is good news for anyone tired of using synthetic drugs produced in a lab. Nature seems to know what we need, and provides it free of cost, which is definitely a win-win situation! Click here to learn how to improve your life by adopting a greener lifestyle.